Finally, it looks like shiny Pokemon have overtaken the popular Pokemon mobile game. It's been a long time coming, but it looks like Niantic has finally added shiny Pokemon to the cavalcade of Pokemon available in Pokemon Go. Not long after the Water Festival kicked off on Wednesday afternoon, players began to discover special Magikarp that subscribed to the same characteristics of shiny Pokemon that are normally found within the regular games. The shiny Magikarp is indeed the first of its kind so far, and it can be evolved with 400 candies to turn into a shiny Gyarados. 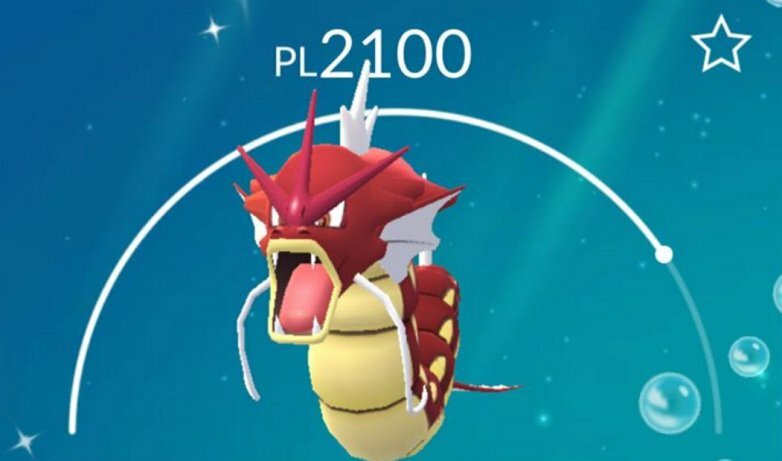 The shiny Gyarados is dark red, much like everyone thought the Red Gyarados would be back when the whole "Red Scale" rumor was swirling around. If you're looking to go shiny Pokemon hunting, keep in mind that apparently the Pokemon do not look any different than the regular monsters you see on the map. You'll have to tap on the Pokemon to encounter it and see that it's actually shiny. You'll also get a warning prompting you to make sure of what you're doing before you send one to the professor. If there are now shiny Magikarp and Gyarados, it makes sense there may be additional shiny Pokemon out in the wild as well. Nothing's been confirmed just yet, but when reports start rolling in we'll make sure to keep you in the loop. If you needed an excuse to go out and hunt for Pokemon again, however, here it is. You're welcome.